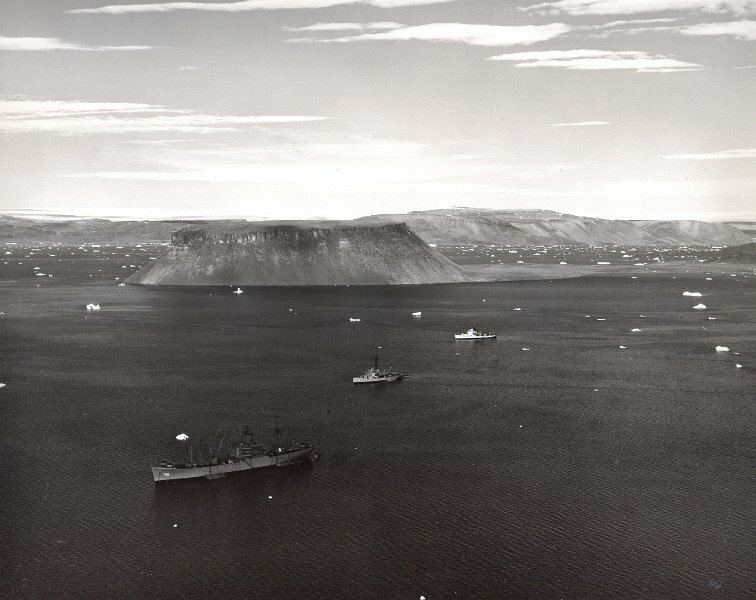 Task Force 80 at anchor in North Star Bay, Thule, Greenland. Mt. Dundas elevation 700' stands out in center with Solstenholme Fjord at far right. Permanent ice cap can be seen over Mt. Dundas. Thule village is barely visible at far right on spit of land between North Star Bay and Wolstenholme Fjord.